This perennial wildflower is native to the eastern United States and is known for its bright yellow petals surrounding a black, domed center. This gives the flower its “black-eye”, like its name implies. This popular wildflower can grow up to three feet tall and thrives in full sun. It can also handle a wide range of soil types and blooms from June to August. 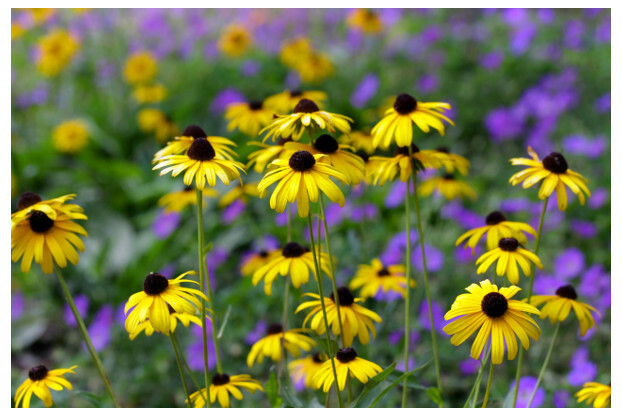 Black-Eyed Susan is a perfect addition to any wildflower garden, roadside, or open field. It is the state flower of Maryland.